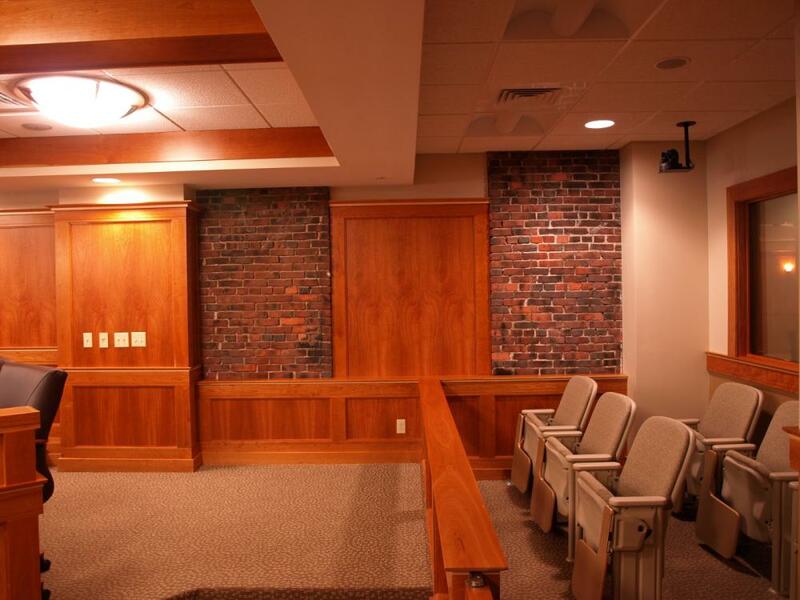 Franklin Pierce Law School’s new $352,000 moot courtroom. 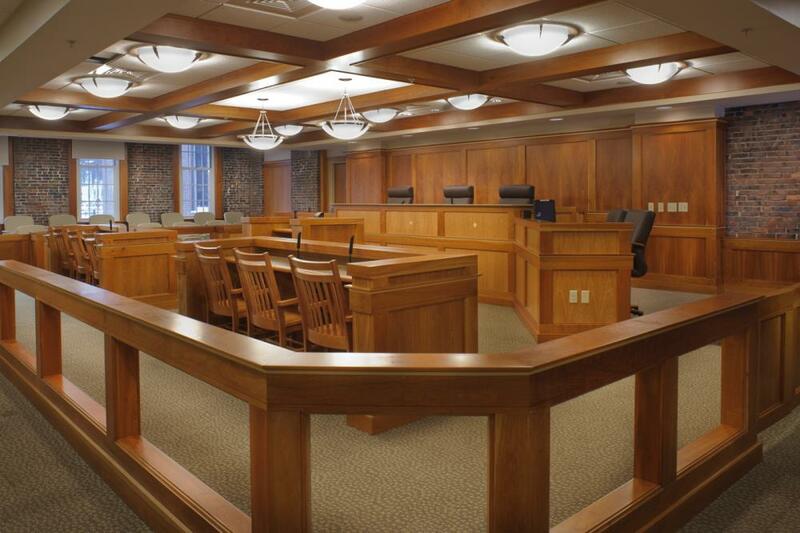 The courtroom features up-to-the-minute technology by Single Source Group. 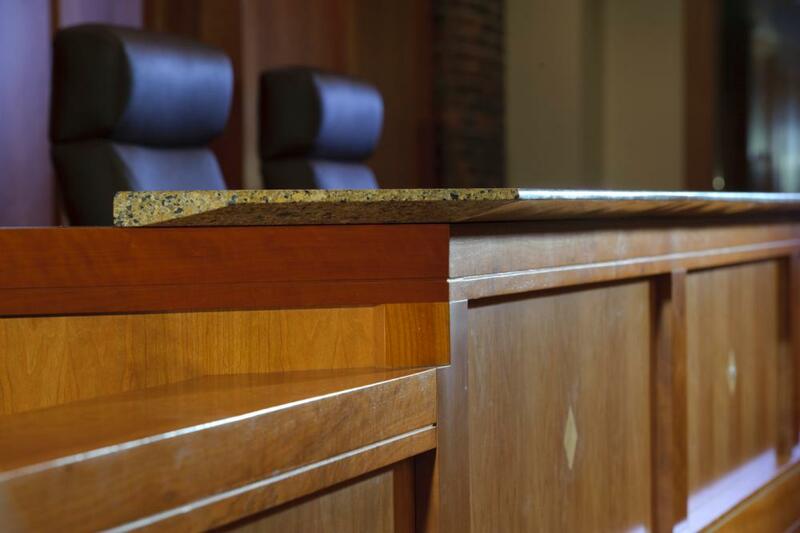 Its ForTheRecord software is found in 22,000 courts globally, including Old Bailey, the World Court and the Hague. Pierce Law is the first school in the world to incorporate it into academics. 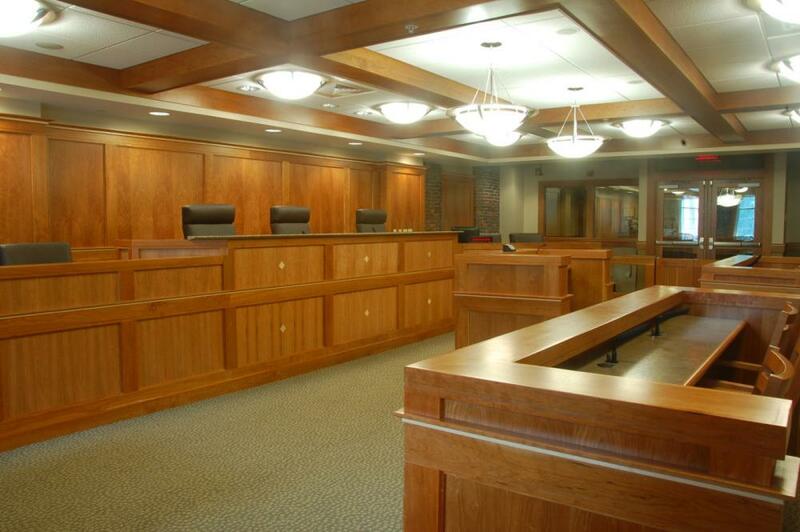 The courtroom, located on the first floor where the Offices of Career Planning and Academic Success had been, replaces a smaller courtroom on the third floor. 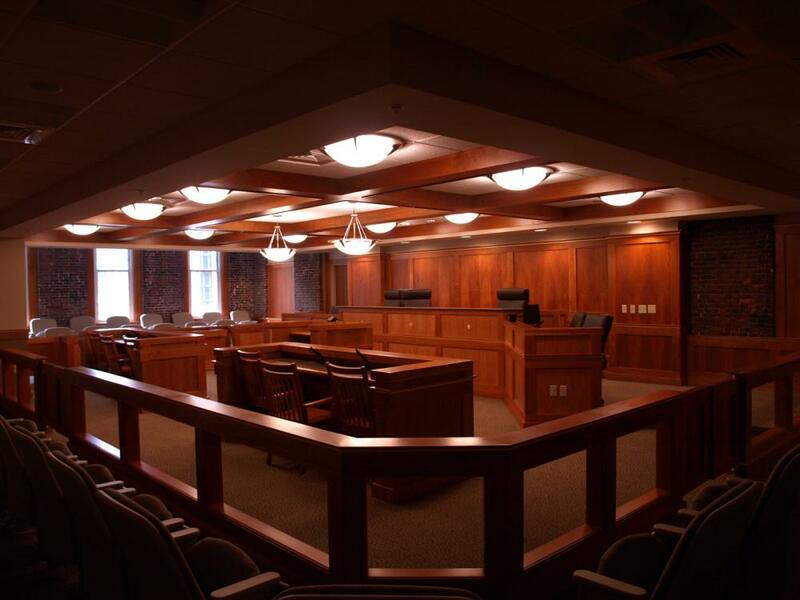 The larger footprint accommodates a panel of judges at the bench, features a jury box with retractable flat screens for display of evidence, and includes a separate room for judges’ chambers or jury deliberation. 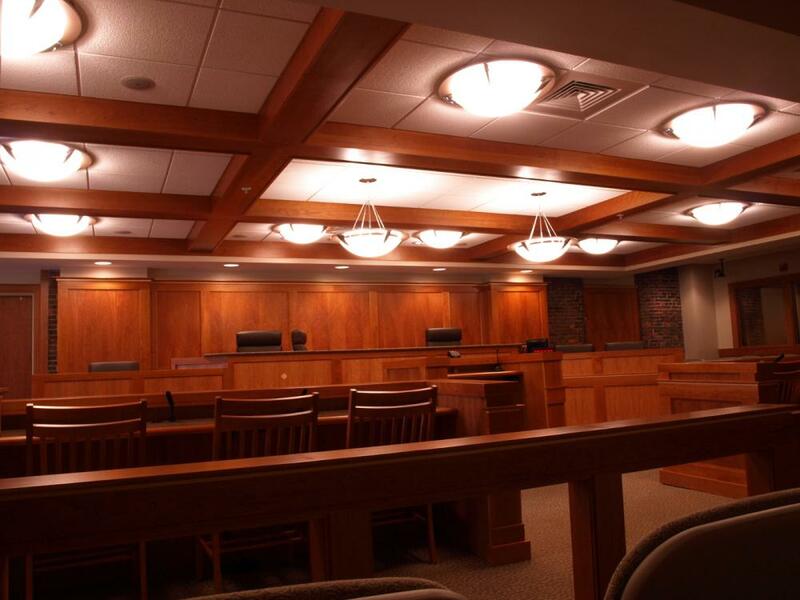 Not only do these elements enable students to gain practical training, but they also are necessary for New Hampshire courts to hold sessions on site. In 2012 the school took top national honors in Moot Court competition, winning every award:Best Brief in the Nation, Best Oralist in the Nation and Best Overall Team in the Nation. 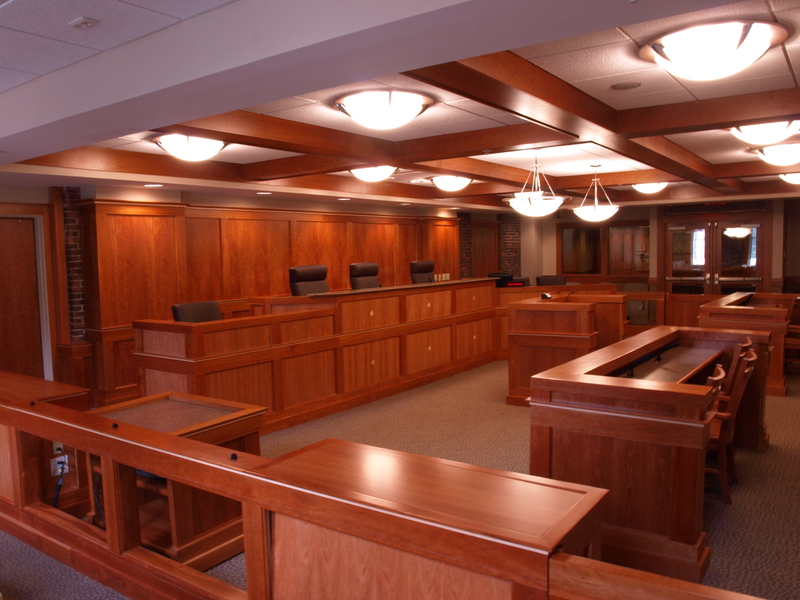 The courtroom project was part of a large-scale renovation of the law center.